Filmmaker Neill Blomkamp’s (District 9, Elysium, Chappie) Oats Studios has released its first short film, titled Rakka and featuring Sigourney Weaver! You can watch Rakka in the player below. 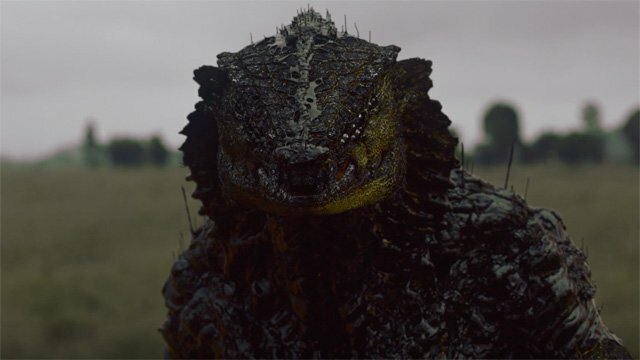 Oats Studios is bringing experimental short films YouTube and Steam. Blomkamp previously took to Twitter to answer some questions about the project, confirming that Volume 1 of the series will have three shorts running about twenty minutes each. In an interview with The Verge, he further elaborated on why the films will be released on the video game platform of Steam, revealing that all of the assets for the films will arrive allowing fans to remix the shorts how they see fit. “So after thinking about it for a while, I came up with the idea. I needed a place that I could sell short films, and it felt like iTunes or any of the obvious outlets were massively lacking in any other avenues besides the films themselves. In other words: they don’t give users the ability to look at all of the behind the scenes artwork in any real way. The more I thought about that, the more it became, ‘What if the users had access to all of the 3D files that we used for the visual effects?’ If we just gave that away with any one-time purchase and you could render stuff yourself? Or what if we just give away all of the raw footage of one of the pieces, and anyone in the audience could they recut the the entire thing themselves? Stems from all of the music, or voiceovers from the actors; I just wanted to open it up and let people remix it. Blomkamp has also recently said he plans to make a follow-up to District 9, though not on the Oats Studios platform.